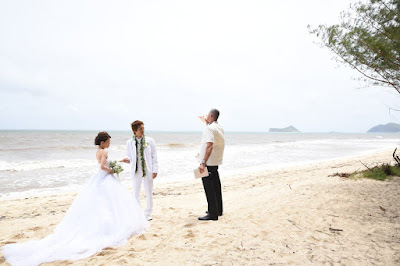 Rev Keawe performs wedding at Waimanalo Beach with Bride & Groom Daisuke and Akina. Ocean color wasn't the usual pretty blue due to runoff from recent heavy rains. Can't wait for the turquoise to come back! 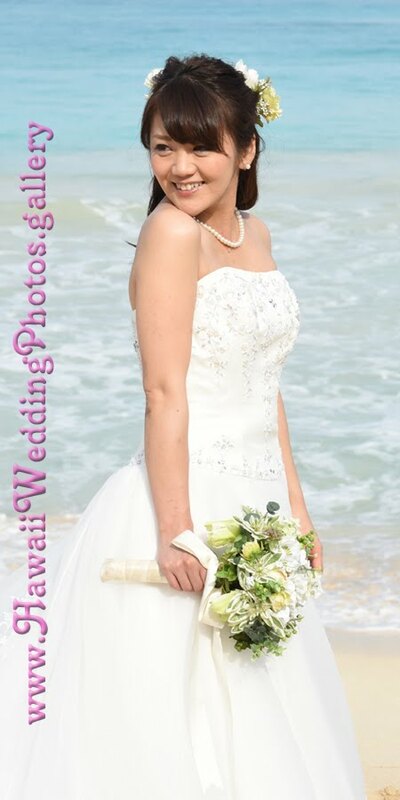 Nice pic with soft background and Koolau mountains in view. Thanks to Rev. 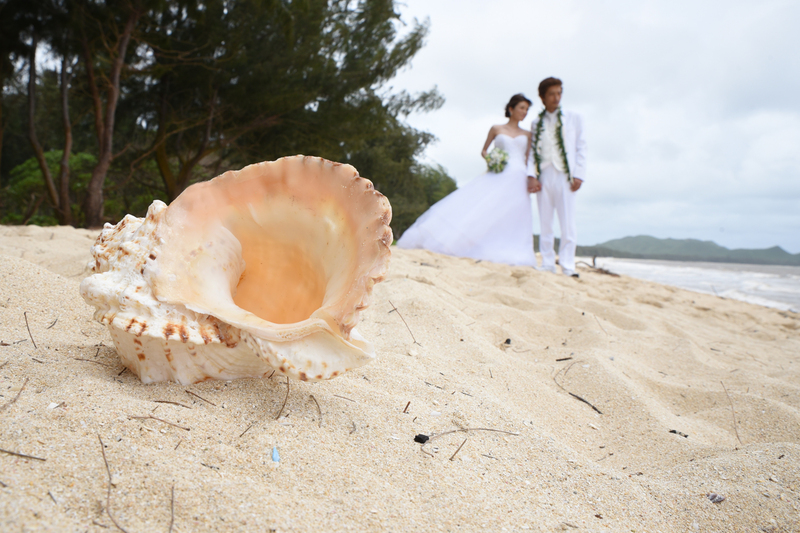 Keawe for letting us use his conch shell for a nice wedding photo!